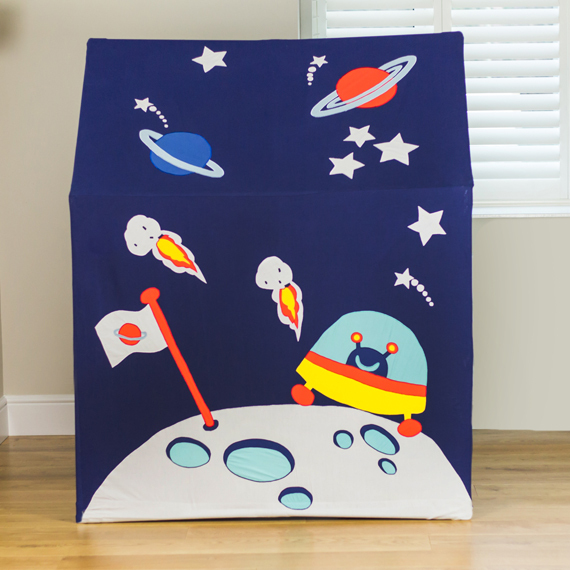 We love these beautifully designed playhouses from Kiddiewinkles, all individually appliquéd and embroidered. 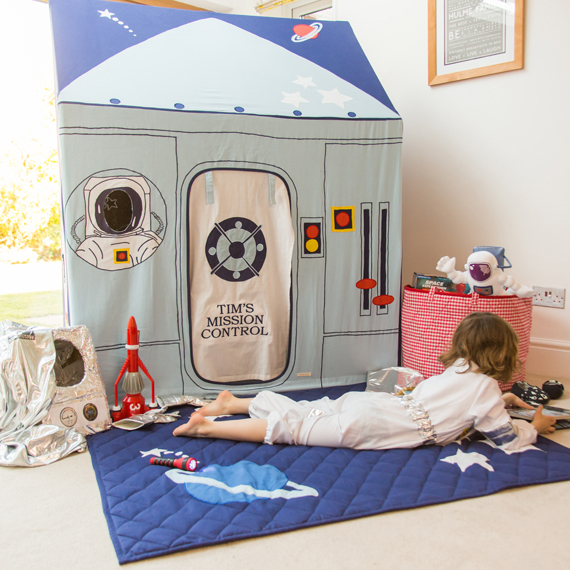 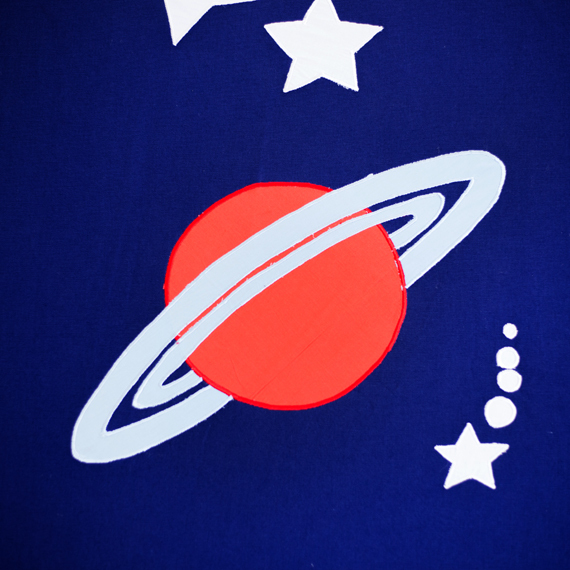 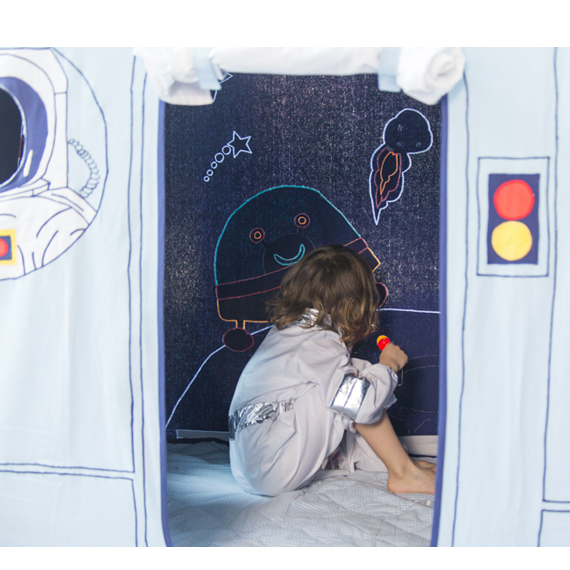 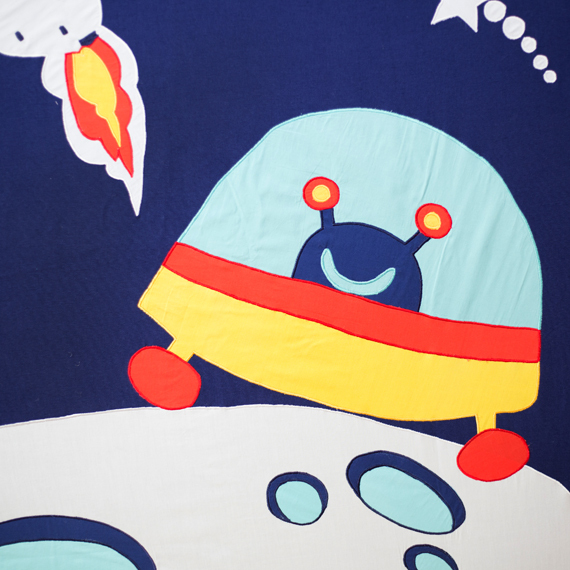 Budding astronauts will have hours of fun planning their inter-galactic missions. 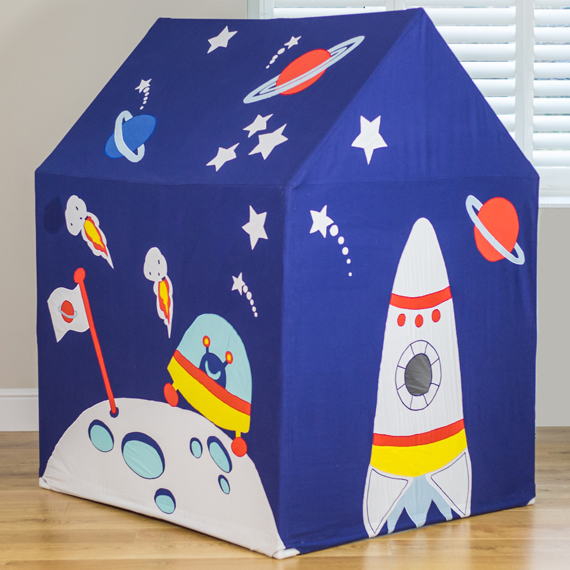 The playhouse has space features on all 4 sides and the roof. 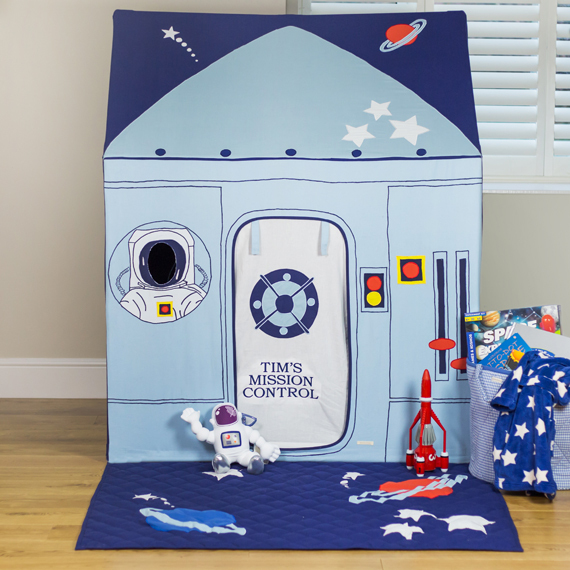 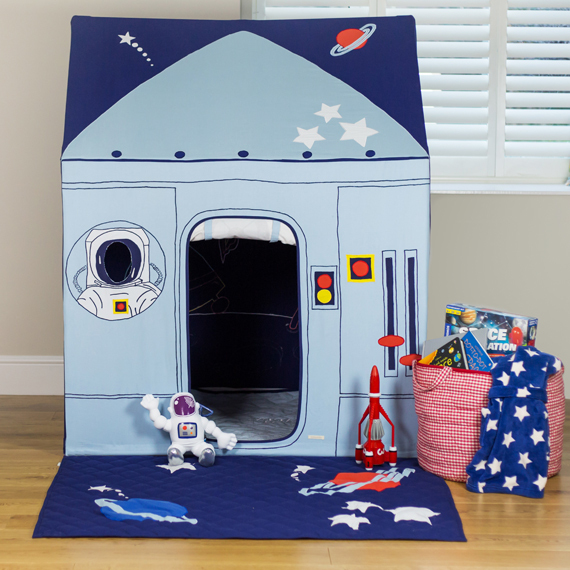 A co-ordinating toy storage basket and quilted floor mat are also available.